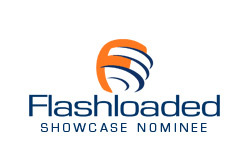 i'm pleased to inform that the website i've created for FREIKIRCHLICHE is nominated for this month’s showcase on flashloaded.com! UPDATE: thanks all for voting! we won 1st place!